Personal representatives and executors follow a state-mandated timeline for creditor notifications. When it comes to managing debts, including through approval or rejection of creditor claims, the executor’s duties become more complicated. An estate can have a variety of different debts ranging from vehicle, property, and business loans, to medical bills and credit card debt, or more complex matters such as a pending lawsuit or existing judgment. In North Carolina, creditors have 90 days after initial publication or mailing of a creditor notice to make a claim against the estate. While illegitimate claims are uncommon, the executor must review and vet all claims, then pass approved claims to the probate court judge. Ultimately, the probate court will pass final approval. Every state has unique laws that prioritize estate debts. North Carolina statutory law applies greatest priority to property liens and funeral expenses, and the least precedence to credit card claims, among others. Learn more about order of claim priority. North Carolina law provides protections for certain assets. For example, inherited retirement accounts are exempt from creditor claims. Since legislation passed in 2013, individual retirement accounts (including Roth accounts), retirement annuities, and retirement accounts in trust have enjoyed expanded creditor protections. Some estates may include special planning tools or involve foreign interests. For instance, foreign trusts are commonly used for their strong asset protection benefits. While it is far more challenging for a creditor to pursue assets in foreign trusts, it is possible. While these concerns generally apply to the duties of the trustee, executors should be cognizant of possible complications in estate administration. 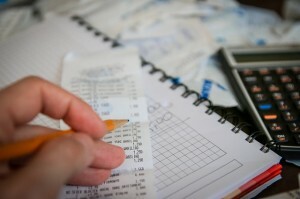 Creditor issues might surface in any estate, small or large. Executors don’t need to face these issues alone. 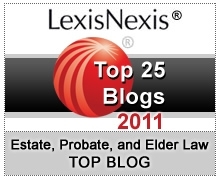 Learn about North Carolina probate services.